With crisp fall winds in full force, fur is more appealing now than ever. I’ve long been an advocate of styling fur in the form of a cozy cover-up. To me, a fur vest or stole isn’t a luxury; it’s a life necessity. Whether you’re dressing it down for day, or dressing it up for evening, every woman should own at least one piece of fur in a design that fits her lifestyle. And with the runways lined in fur — did you see Chanel’s FW 2010 collection? — you should be be prepared to style this natural insulator as a complement to several items in your closet this winter. Two pieces I’m loving? Check this grey and white shearling stole by L.A.-based line L’Agence. It’s easy to see why celebrities such as Nicole Richie love the label; L’Agence’s shearling stole would be the perfect companion to almost any look! More wide at the shoulders, this shearling stole slips on and the front falls just below the hips. Not without details, the stole also features pockets lined in black trim. L’Agence shearling pocketed stole, $1515, Net-A-Porter. I’ve also got my eyes on this Antik Batik rabbit gilet. What’s a gilet, you ask? A gilet is a sleeveless jacket that looks more like a vest. This multicoloured fur wonder by French designer Gabriella Cortese is absolutely divine! So free-spirited, Cortese has completely captured and infused French feeling into this artistic coverup. Slightly longer at the front, this rabbit gilet features a multicoloured design, oversized lapels, and a hook-and-eye front closure. Totally luxe! Antik Batik clava rabbit gilet, $660, Net-A-Porter. Funny how when you don’t feel well and you can’t get warm, all you want to do is layer on anything with fur and wool. Am I the only person who feels that way? Needless to say, as I find myself fiercely trying to stay warm, I’m reminded of just how cozy this Paul & Joe tchatcha Mongolian-shearling jacket would be. It’s a gorgeous off-white with light brown details, so it would pair perfect with almost any complexion (read: Especially those of the fair-hair, alabaster skin variety). The jacket has a boxy fit, and side-slit pockets. The front is clean, with hook fastenings concealed under the shearling. This Paul & Joe shearling jacket is fully lined. You can add an easy element of glamour to almost any outfit with this Paul & Joe jacket. 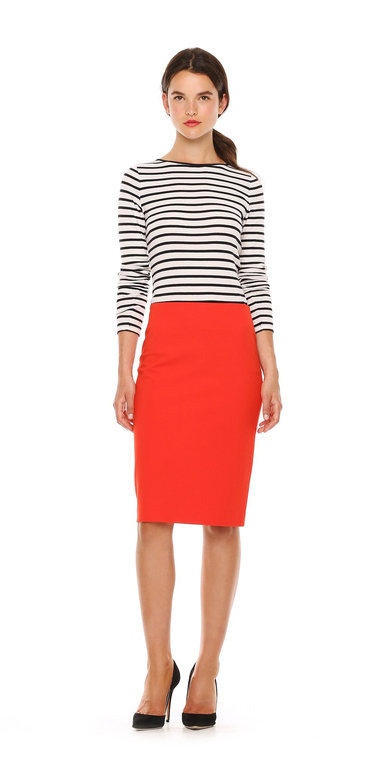 I picture it with everything from jeans and a turtleneck to a LBD. It’s a simple slip on that will add instant style to whatever you’re wearing. It could be that I have a cold and am really not feeling well, or it could be that this Zara drape neck jacket is just too chic and comfy to pass up! Whatever the case — and I suspect it’s more of the latter, — this is a drape neck jacket that I could definitely live in over the next few months. Look at those layers of warm wool; they’re the perfect anecdote for keeping your neck warm during Fall and Winter. Made from 100 percent wool, this sleeveless Zara jacket is simple in its construction. It has a fantastic drape neck, and two simple side pockets. The jacket tulips out and the hem hits at the knee. There is a centre seam down the back, and two join seams on the drape neck. Simple construction and sophisticated design. I love the idea of wearing this drape neck jacket over a long-sleeved crewneck tee and leather skinnies, or over a blouse and classic pencil skirt. Whoever said polyester is a fashion faux-pas obviously has never seen my man Marc Jacobs working the material into something amazing. Exhibit A? This Marc by Marc Jacobs quilted coat. Made marvelous in a deep midnight blue, this polyester Marc by Marc Jacobs coat features fantastic quilting, ribbed cuffs, and an elasticated back waist. Lest you think that sounds matronly, picture this coat over your favourite loose-fitting tee and skin-tight skinnies. Add to the mix some platform boots, and you’ve got a winning look for winter. I especially love the contrasting gold designer-stamped hardware — gold stands out so beautifully against a dark blue canvas. 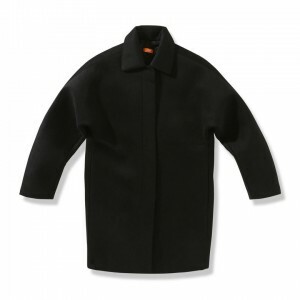 This Marc by Marc Jacobs coat has a front zip closure, and press-stud fastenings. The front patch pockets allow for small storage, and you can wear the collar popped or not. The perfect coat for casual weekending or car trips, this is my quintessential coat for the season! Outerwear is an essential that every woman needs in her wardrobe. It’s a necessity: The right coverup can make the world of difference when it comes to styling your sartorial best. I’m a big believer that everyone should have at least one black leather jacket, wool peacoat in a classic camel, contemporary coat in a vivid hue, and a cotton casual. And today I’m adding another coverup to that list: The cape. Typically underrated and considered an ‘old-fashioned’ piece, the cape is a prime option for covering up your daytime or evening styles. Seen all over the Fall 2010 runways, a proper fitting cape can punctuate your style in a serious way. The visually appealing — and versatile! — cape acts as a dramatic layer to complement (or contrast) with whatever you happen to be wearing underneath. Check the above capes in black. While we learned in high school art class that black is the absence of light, let’s face it: Black adds instant sophistication and style to almost any article of clothing. It’s a hue that works well on pretty much everyone, and it will never age. Let’s talk about this reversible cape done in a turtleneck by Akris. Modern and slimming, this heather green reversible knit cape is composed of Italian cashmere and made in Switzerland. The long, straight lines add instant height (it also helps if you practice proper posture). The turtleneck has a centre slit, and there’s a zip in the front. Akris reversible cashmere cape, $3500, Neiman Marcus. Next I’d like to draw your attention to this Alice by Temperley artistic gem – the Charlie crepe cape. The silver stud-sprayed cape is made from black crepe and this Alice by Temperley design is all about texture. The front is elegantly embellished, and the collar is velvet. The crepe fabric (poly-blend) wears well in cooler weather. This cape has welt pockets, and hidden front fastenings. 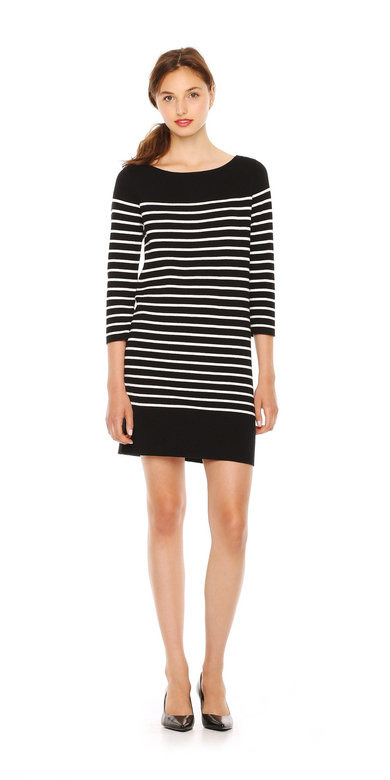 Alice by Temperley Charlie crepe cape, $650, Net-A-Porter. Also, note this Saks Fifth Avenue exclusive: A classic cape by Chloé. I’m loving the varied length of this coverup. Waist-length in front, and tush-covering in back, this Chloé wool and cashmere cape is guaranteed to keep you warm this winter. Besides the made in France quality, I love the unique braided frog closure at the neck of the cape. The pretty passementerie (read: Art of making detailed trimming and edging) makes the cape. Chloé contour cape, $2175, Saks. Since I know that several of you are on a budget, I’ve tried to make my next selections somewhat wallet-friendly. I’ve also taken into account that there are many women out there who don’t want to wear black all the time. And if you’re aiming for a colourful coverup, you’ll love these picks. ASOS isn’t exactly known for its long-lasting luxe goods, but once in a while they’ve got pieces that are practical and that are constructed with care. Check this ASOS hooded military cape. A durable construction of 65 wool, 35 poly-blend, this is a classic. While the hood is helpful for undesirable weather circumstances, it’s the oversized double button fastenings that are the feature of this coverup. The shoulder epaulettes definitely give the cape more of a chic, finished feel. And you can’t beat the length (or the price, for that matter). Hooded military cape, $117.95, ASOS. My man Marc Jacobs makes a mean jacket. I’m loving this cape on YOOX from MJ’s spring/summer collection. It’s certainly a chic transitional piece for Fall, and could easily take you into late September (after which you’ll want to swap your cotton coats for something more season-suitable like wool). This Marc Jacobs cape is 100 percent cotton, and is available in turquoise and purple. It features two front breast pockets, hook-and-eye closure, and shape-retain boning. Marc Jacobs canvas cape, $195 sale, YOOX. Finally, we’ve got this caped raincoat by Maxstudio. The stylish silhouette is so fashion forward. Definitely dramatic, the shape of this raincoat cape is perfectly practical. The front flaps wrap the shoulders for added volume, and the front placket covers the Corozo globe buttons. This cape is made from wax coated cotton, so it is sure to be weather-resistant and relatively warm. Caped raincoat, $128 sale, Maxstudio. Spring is such a beautiful time of year, and I don’t just mean because of green grass, colourful flowers, and other nature-y stuff. I mean J.Crew. Not only has one of my fav retailers seriously marked down their already slashed spring sale, they’re also giving you an extra 20 percent off for the next two days. I’d say so. Especially considering their black zoey blazer (originally $145) was marked down to $45.99, and is now less than $40 with the 20 percent discount. With a comfortable fit, much like your favourite boyfriend blazer, this is one jacket you’ll keep for years to come. I love the fit, side pockets, and sleeves (super easy to roll up). Buy it up while it’s still available in your size! 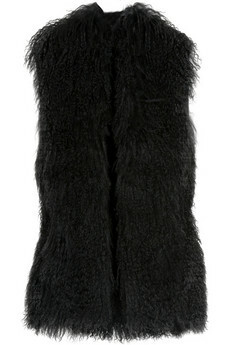 So we all know last winter I was mad for Haute Hippie’s mongolian fur vest (very MK Olsen of me, I know), and now, well. Designer Trish Wescoat-Pound has a thing for sequins, and good for her! This shimmering short jacket will make an absolutely divine addition to your Spring 2010 wardrobe. Constructed from 100 percent silk, with cropped sleeves and a hook fastening at front, this multicoloured beaded short jacket is sure to turn heads. Silver, iris, and even some muted red, I love the idea of topping this number over a simple tank and jeans. Versatility at its finest, you could even work it for evening. And this Haute Hippie reversible mongolian lambswool vest looks REALLY warm. And it’s dual purpose reversible. And a girl can only buy so much cashmere before she needs a change. And I’m out of excuses. Really, it should come as no surprise that I’m wishing for this J.Crew Collection midnight iced houndstooth coat. It’s a chic car coat dressed up with some midnight cellophane for a super-sleek glazed appearance. I love tweed of all kinds, and woven together in a gorgeous houndstooth print, this coat is no exception. It’s designed double-breasted, with vertical welt pockets, sweet bauble buttons (that are anchored in back), and bracelet sleeves. The box shape is classic, and the color is deepest navy. I’d wear with just about everything… from jeans to dresses.